I decided this year to delay my specific ultra training until February if not March as my ‘A’ race, Lakeland 100, is not until the end of July and I didn’t want to try and hold my focus for so long. So normally I would be running well over 200 miles in January with a good number of off road runs. So this January has been a bit different and to be honest I’ve really enjoyed the variety and change. 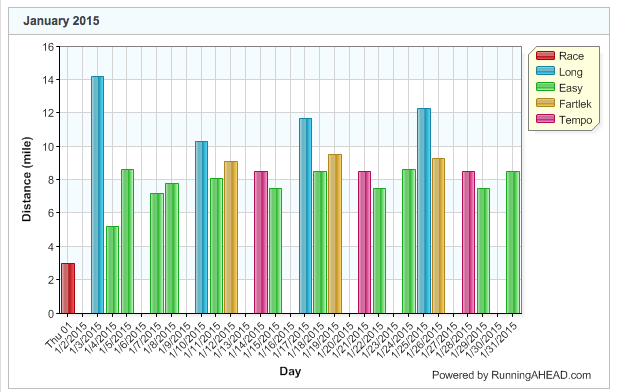 I ran 190.01 miles in January. Here are some summary sheets ….. List of all runs with details …. 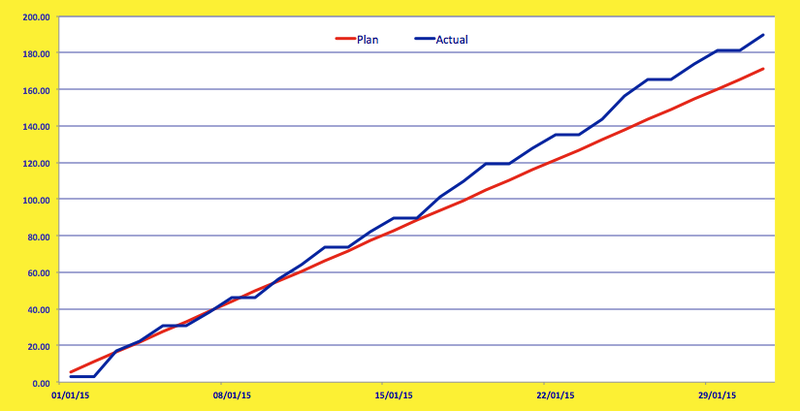 In graph form in RunningAhead …. No big spikes this month … just lots of consistency. 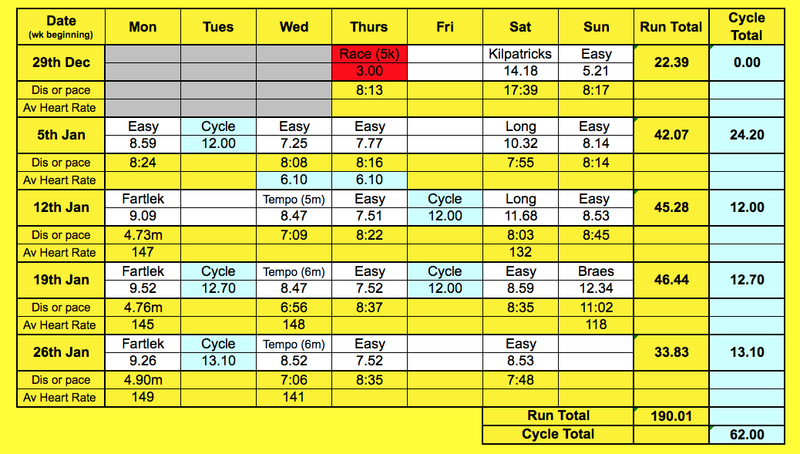 In diary form with my cycle rides to and from work included …. 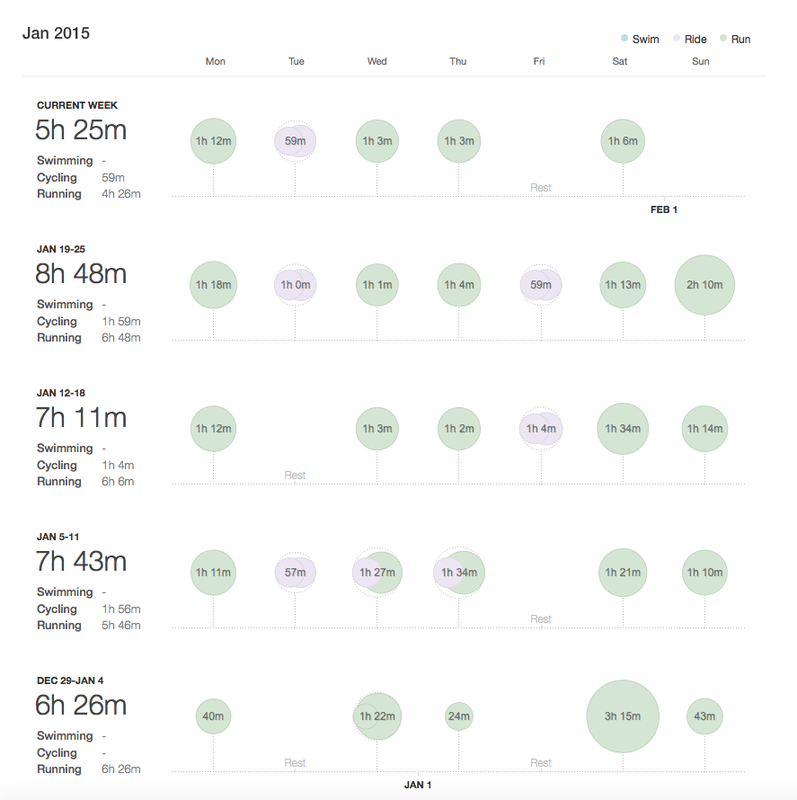 Strava produce a nice graphic or two …. 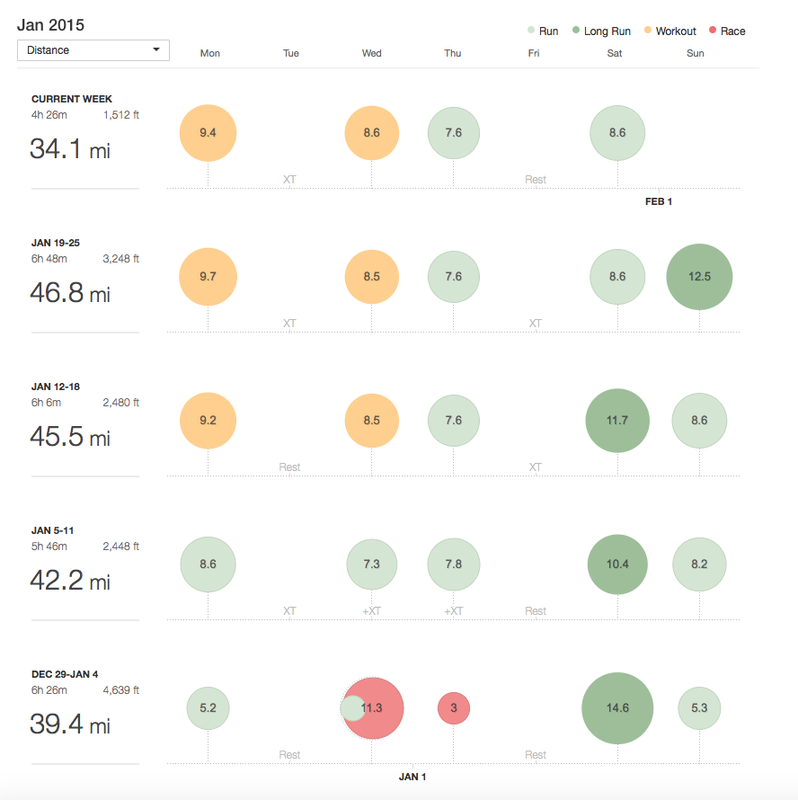 Finally I’m ahead of my 2015 miles in 2015 …. So a good solid month to start. February is going to more of the same but also will include a long off run 25 miles on Sun 8th Feb and the National Cross Country on Sun 22nd Feb so I’ll adjust a few things to fit around those runs.